The Italian Ministry of Culture published the list of the new Directors of the major Italian museums, and it proved a real surprise. In twenty new appointees, seven are foreign citizens and three are Italian expatriates. The Ministry clearly made an effort to prove that its choices were not influenced by political patronage. 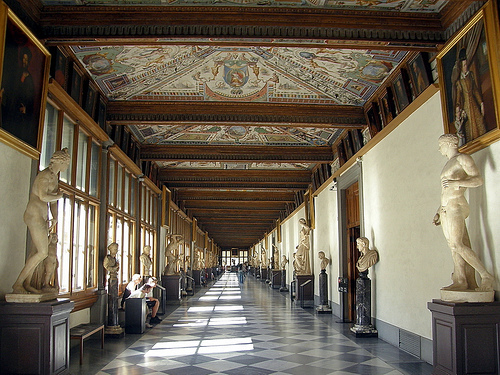 The Uffizi Gallery, probably the most famous Italian museum, will be under the direction of Eike Schmidt, a German expert. The round of appointments was however criticized by Vittorio Sgarbi, a famous art critic and politician. “There is no change whatsoever” said Mr Sgarbi. “[Minister Dario] Franceschini made a huge mistake: you shouldn’t humiliate so much the State officials working in Superintendencies of Fine Arts [Italian offices supervising art and conservation matters]. This is just propaganda, they wanted to bring in foreign people and – what a coincidence! – seven Directors in twenty are from abroad. It is also suspicious that ten are male and ten are female. A Minister of Culture should personally choose the candidates to fill similar positions, so important positions, assuming full responsibility of that. Instead he delegated the screening to a panel made of four people headed by the President of the Venice Biennale”. Tags: appointments, controversy, criticism, Directors, foreign, Italian Museums, round, Uffizi. Bookmark the permalink. Previous post ← Should a dangerous female criminal be deprived of her son?